Oleg Grachev of Blagoveshehensk, Russia, talks about the struggles he has had to overcome a gay man from Russia on Monday, Dec. 18, 2017 in DeKalb. 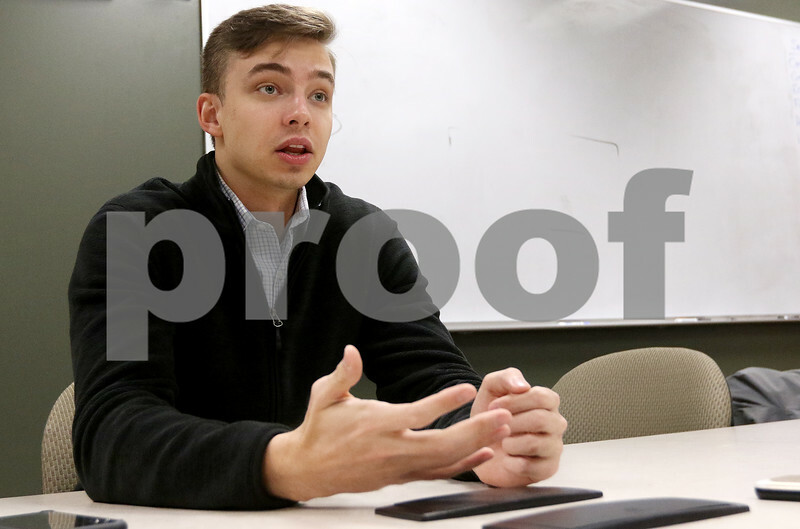 Grachev has persisted through the face of adversity to graduate from NIU over the winter with a double major in finance and economics. He has already landed a job in New York City at JP Morgan Chase.